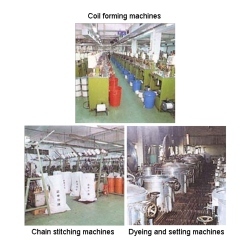 Atics Industrial Corporation has been manufacturing zippers and related products since 1970. With over 30 years of experience, Atics has received numerous recognitions for its products' quality. The company aims to reach quality perfection with its products. It also realizes the importance of customer satisfaction in the field of quality, service and price. This is the reason why Atics treats its clients as a business partner, constantly exchanging ideas and views, thus learning from each others experiences. Atics practices modern management philosophy to assure the most efficient and flexible production schedule. The company continues to excel over their peers by accommodating the most demanding request in terms of quantity and delivery time. OEM: We have 30 years OEM production experience. We offer design and manufacture services of new models or products. We are capable of providing buyers' label services to all our customers. We also produce 10 million feet of long chain zippers per month. We frequently provide suggestions on product specifications in order to achieve more durable and cost efficient output. 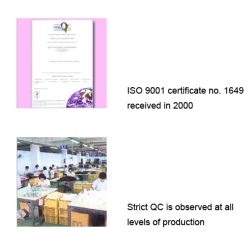 Our in-house QC department is composed of proficient and responsible technicians. 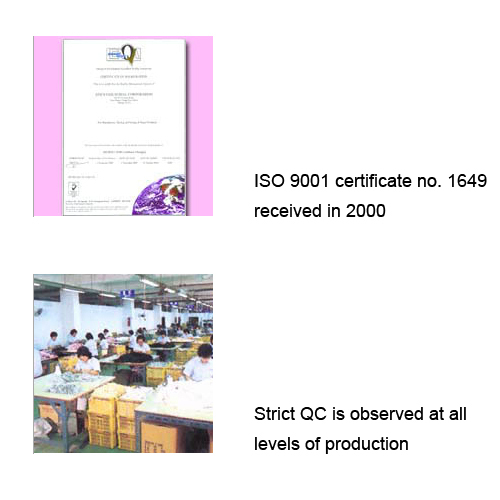 All our QC specialists have undergone rigid trainings conducted in-house. All materials and components undergo strict and meticulous inspection. Each stage of production is closely monitored and guarded to ensure product quality. Computer monitors are used to alert production team of any defect. 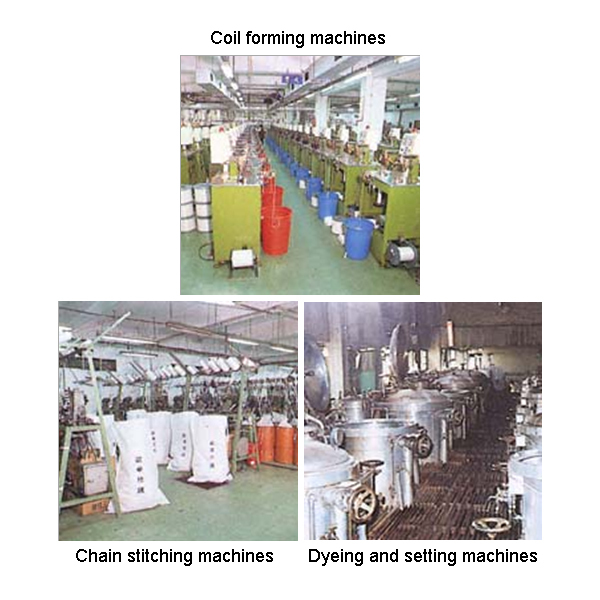 Products are checked at all levels of production. Finished products are checked individually to ensure smoothness and quality.